When Disney World first started, most of the rides were broken down and nothing seemed to be going their way. (Sounds a lot like my first novel.) Disney created a magical theme around the park, which brought customers into the park. This same logic can be used with your author career. Step away from your book(s) for a moment. If you want readers to flock in your direction, you need to create something magical that will bring them closer. Hidden Mickey’s are usually three circles that represent Mickey Mouse, or a partial impression of Mickey Mouse, which are hidden in rides, attractions, decorations, etc… Steven M. Barrett created guidebooks that are setup like a scavenger hunt, providing clues on where the Hidden Mickey’s are located. There is also a scoring system so people can compete, depending on how many they find. Using the Hidden Mickey process, Disney World is not the main focus. Instead, something fun and creative was developed around a character of Disney World. Here are three examples of how I used the Hidden Mickey Marketing Plan with three different age groups. My daughter and her friend hurried off and started looking at books in the store and reading the beginning of chapter nine in each of those books. An hour later, they were still having fun doing this. Another example of the Hidden Mickey Marketing Plan is when I wrote the Middle Room book series for middle school students. I started a rumor that every middle school has a Middle Room with horrifying powers. Then I told students (and teachers) to look at the school map and circle the center point. That is the Middle Room. Watch for strange things to happen inside there. Once again, I turned the theme of my book into a character, then created a Hidden Mickey. It did not take long before all the middle schools in the area started talking about their Middle Room. There is even one school that plans to put up a large sign that says, “You are now entering the Middle Room at our school.” My Hidden Mickey worked to perfection. I wrote a book called, 2-10 and decided on marketing plan that convinced readers that 2-10 is linked to a secret world that will fulfill your every desire and need. People starting noticing 2-10 in their address, receipts, exit signs, license plates, or even those that had the birthday on February 10th. In all three of the above examples, my focus was to thrill the target audience, rather than selling my books. How can you create a Hidden Mickey for your book, or book series? Here are some ideas. Getting people to think about your book, wherever they are. I’m sure the theme of your book is based around a simple idea, with intricate plots, characters, and storylines. Take that simple idea and use it to your advantage. Be creative. 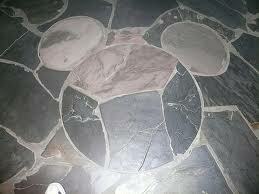 Use social media, blogs, YouTube, or even word of mouth to start your own Hidden Mickey. Start a conversation without anyone knowing what you are doing. Blur the lines between reality and fiction. Looking at the world through the eyes of an author. When people read your books, you have them trapped in your world. But in order to draw more readers, you need to create a world outside of your book. Why are your books so magical? Interesting? Thrilling? Intense? Romantic? Funny? Mysterious? You should understand why readers would love your book in the first place. Take that same logic and use it in your marketing plan. Discovering hidden treasures, messages, mysteries, and unknown characters. Change the theme of your novel into a guidebook. (Figuratively.) Direct your readers. Show them something amazing. Steer them in your direction with your powerful imagination. Channel all your energy outward, rather than using your career goals to make decisions. Can you envision a world that you created away from your books, which is thrilling for the reader before they read a single word? In that world, you are beyond a successful author. You will represent what readers are truly looking for…to be entertained in their daily lives! I had mentioned in a previous blog that Charles Dickens used to perform on stage the characters from his books. This thrill became a part of the reader’s lives. You are not Walt Disney and you are not Charles Dickens. However, you are still unique. There are multiple ideas for your books. Step away from your goals and discover a way to create a Hidden Mickey around your novels.